Last September 2017, the Philippine Civil Service Commission celebrated their 117th Anniversary with a month-long scheduled of activities.In collaboration with the Civil Service Commission’s theme, “Tugon sa Hamon ng Pagbabago: Malasakit ng Lingkod Bayani”, Laguna Water District extended their hands not only to their employees but also to their concessionaires. A seminar with the GSIS Officer was conducted to update the employees with the different benefits GSIS offers to its members. Series of Medical Mission was also held to the different barangays that Laguna Water District and LARC serves. Nutritional Counselling was administered to all the participants. Adults were given time for their Zumba Session to energized them while waiting for their turn to be checked by the doctors. Together with the Medical Mission, Dental practices are also performed like Tooth Extraction and Oral Prophylaxis. Children was administered with fluoride for the protection of their teeth. They are also given a kit for their Oral Hygiene. 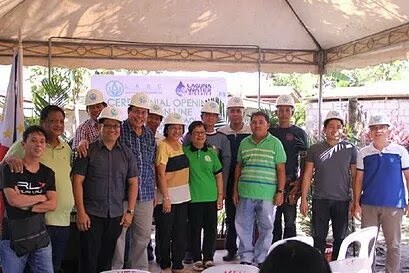 Laguna Water District and Laguna Water Aquatech Resources Corporation coordinates with DepEd’s Brigada Eskwela. Volunteer employees of Laguna Water District together with other parents, students and teachers joined hands in cleaning the classroom for the students. They all helped not only in cleaning the rooms but painted the walls not only the classroom but the entire school as well. Earth Day is an annual celebration all over the world. This year’s theme is “Climate and Environmental Literacy.” Clean up drive was conducted by the employees of both LWD and LARC. In cooperation with DOST Region 4A Science and Technology Week together with LARC, Laguna Water District joins in the celebration of SyenSaya. Different questions where given to participating Elementary, Junior and Senior High School students. Prizes where given away. In accordance with Republic Act 10176 of The Arbor Day Act of 2012, Laguna Water District together with Laguna Water District Aquatech Resources Corporation supported the Municipality of Bay’s 1st Arbor Day Celebration. Laguna Water District in cooperation with Civil Service Commission keep up its Awareness Campaign in Support of the ASEAN Community. Pormal nang binuksan ng Laguna Water District Aquatech Resources Corporation (LARC) ang kanilang main line na maghahatid ng tubig sa mga residente ng Brgy. Wakat at Brgy. Manaol sa Nagcarlan, Laguna noong Disyembre 22, 2016. Ang pagbubukas ng main line ng tubig ay pinangunahan ng mga opisyal ng LARC na sina G. Crisanto Hilario (Presidente ng LARC), Engr. Rodrigo Yabut (LARC Chief Operating Officer), at Engr. Mat Wilson Ramos (LARC General Manager) at ng mga opisyal mula sa Laguna Water District (LWD) na sina GM Pantaleon Tabanao, Chairman Benito Romena, at Director Ramon de Villa. Ginanap ang seremonya sa isang lugar sa gitna ng dalawang barangay kung saan nakalagay ang main line ng LARC. Ang makasaysayang okasyon ay dinaluhan at sinuportahan ni Vice Mayor Amie Malabag-Hernandez kasama ang ilang konsehal ng Nagcarlan na sina Konsehal Generoso Comendador, Konsehal Brando Araneta, Konsehal Felipe Arcigal III, at Konsehal Nelia Consignado. Bagama’t hindi nakarating si Mayor Nelson M. Osuna, ipinaabot din niya ang kanyang suporta sa pamamagitan ng kanilang Municipal Planning and Development Coordinator na si Engr. Randy Moredo bilang kanyang kinatawan. Dumalo din sa okasyon sila Kap. Lorenzo Joyosa (Brgy. Wakat) at Kap. Leodigario Arcigal (Brgy. Manaol) kasama ang kanilang mga barangay kagawad. Nagsagawa rin ng mga “special customer orientations” na ginanap sa dalawang barangay ang LARC para sa mga interesadong aplikante. Inaasahang dadaloy ang dalisay, ligtas, malinis at murang tubig sa mga kabahayan sa Brgy. Wakat at Brgy. Manaol simula Enero 2017. 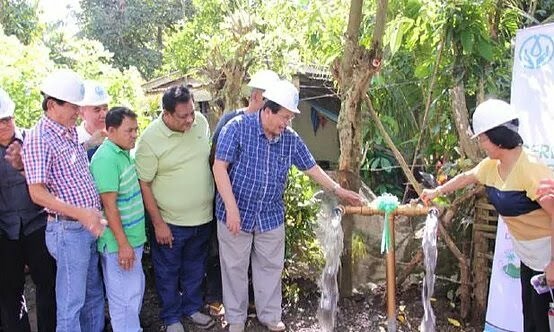 Ang nasabing proyekto ay naisakatuparan ng LARC sa tulong ng LWD, lalo’t higit nila Mayor Osuna, Vice-mayor Malabag-Hernandez, Sangguniang Bayan ng Nagcarlan, Pamahalaang Barangay ng Manaol at Pamahalaang Barangay ng Wakat. 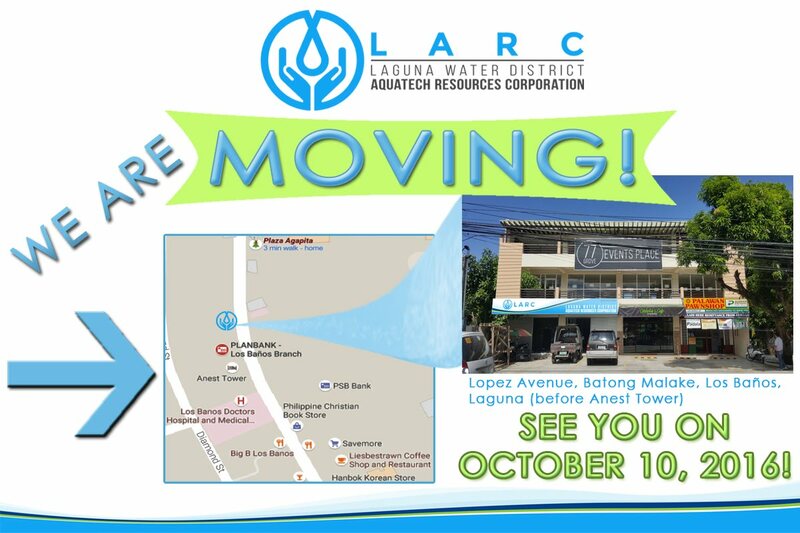 Laguna Water District Aquatech Resources Corporation (LARC) joined forces with Laguna Water District (LWD) to conduct the 2016 Math and Science Quiz Contest last October 13, 2016. The annual contest is a competition conducted previously by LWD headed by its General Manager, Engr. Pantaleon Ll. Tabanao. The main purpose of the contest is to create awareness on water- related issues among students, challenge the young minds’ knowledge on math and science, and foster a sense of enthusiasm about the subjects and how they affect our daily lives. This year, LARC partnered with LWD and opened the competition to elementary and high school students of Los Baños, Bay and Calauan, Laguna to continue this worthy endeavor. The overwhelming number of interested participants required a qualifying round that was held in LWD’s office at Anos, Los Baños, Laguna. Only the top ten elementary and secondary students were allowed to continue to the contest proper. A board of evaluators were also present to verify the contestants’ answers and monitor the contest. LARC invited Prof. Myrna Rodriguez, UPLB Associate Dean of the College of Arts and Sciences as the chairman of the board. As board members, LARC also invited a representative from the Department of Science and Technology IV-A, Ms. Jasmin Hamid and a representative from Department of Education Region IV-A, Mr. Christian S. Balino. For this year, the winners of the elementary division were Clark Andrew S. Guieb with Coach Johla N. Bondad of South Hill School Incorporated, Los Baños (1st place); Troy Joseph L. Valencia with Coach Mary Joserie M. Libre of Maquiling School Incorporated, Los Baños (2nd place). The winners for the high school division were Theresa Mae D. Villanueva with Coach Johla N. Bondad of South Hill School Incorporated, Los Baños (1st place); Fatima Patricia C. Murphy with Coach Marife B. Toque of Laguna Science National High School, Bay (2nd place). In a decision signed last May 6, 2016, Calamba Regional Trial Court Judge Gregorio Velasquez dismissed the petition filed by Los Banos Councilor Norvin Tamisin last November 26, 2015 to prohibit the Laguna Water District from implementing a joint venture agreement with the consortium of Equi-Parco Construction Company, TwinPeak Hydro Resources Corporation, and MetroPac Water Investments Corporation to finance, rehabilitate, expand, improve, expand and maintain the water supply system of the towns of Los Banos, Bay, Calauan and Victoria. Councilor Tamisin had previously filed a Petition for Mandamus with Application for Preliminary Injunction and/or Temporary Restraining Order last October 28, 2015 which was also dismissed last April 25, 2016. The court determined the petition “moot and academic” after the Laguna Water District provided the documents and information requested by Councilor Tamisin that complied with all the requirements for transparency under the National Economic and Development Authority (NEDA) Joint Venture (JV) Guidelines for public-private partnership projects. The Transparency Seal certifies that the Government agency has complied with Transparency Seal Provision of the General Appropriations Act of FY 2012. The Laguna Water District (LWD) covers Los Baños, Bay, Calauan and area of Victoria, the four adjacent municipalities located along the Southern coastline of Laguna de Bay, in the Province of Laguna. Laguna Water District is governed by the members of Board of Directors. Laguna Water District is managed in the fields of Administrative, Financial, Engineering and Operations. Laguna Water District's pump stations and facilities throughout the three municipalities of Los Baños, Bay and Calauan. 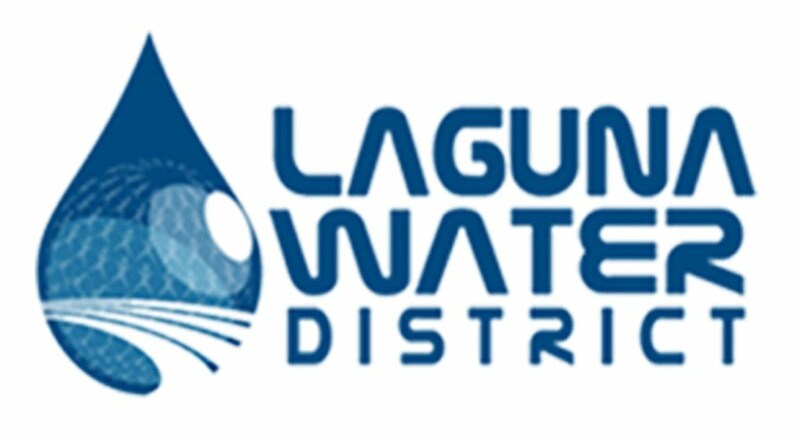 Get up-to-date news and updates about the activities within Laguna Water District.